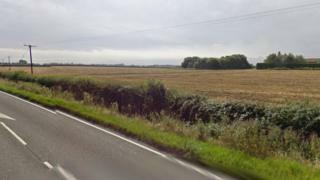 A family thought to have been smuggled into the UK from Iraq were found in a field. The group of seven, including two "very vulnerable children", were found in Staithes Road, Preston, about six miles from Hull city centre. Humber Roads Police said they had been handed over to immigration services and were undergoing medical assessments. The Home Office said three adults and four children presented themselves as Iraqi nationals. No details have been released about how they came to be in the area.